The sitcom focuses on a divorced woman (Cox), her friends, ex-husband and her son who all live in fictional Florida town. Courtney Cox and her “Cougar Town” cast and crew are packing up and moving all the way from ABC to TBS. The “very funny” basic cable network announced Thursday that it has picked up the comedy for a fourth season and will also air previously seen episodes. The season three finale will air on ABC Tuesday, May 15. Negotiations between “Cougar Town” and ABC were scratchy to say the least, making the move to TBS not a complete surprise. 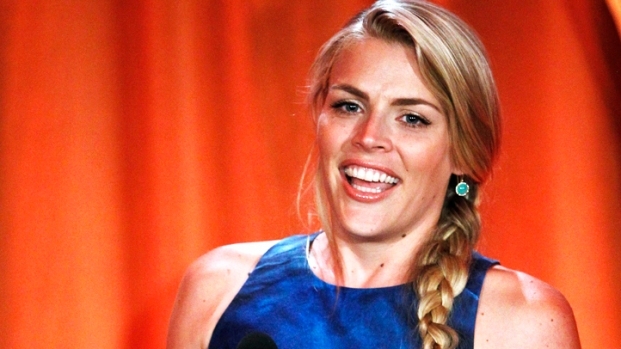 Does Busy Philipps know if, after all the debating, whether or not "Cougar Town" will officially change its name? Plus, Busy discusses her new film, "I Don't Know How She Does It," in which she plays a mean-spirited foe to Sarah Jessica Parker's character. Since it debuted in 2009, the half-hour sitcom – that focuses on a divorced woman (Cox), her friends, ex-husband and her son who all live in fictional Florida town – has jumped time slots, days and was held over from last fall before returning to screens on Valentine’s Day of this year. Co-creator Bill Lawrence experienced a similar situation on a previous show, “Scrubs.” At the time, Lawrence complained about the treatment the hospital-based sitcom received at the hands of NBC for seven seasons. Only it was ABC that swooped in and picked up “Scrubs” for a further two seasons. Courteney Cox talks about her new ABC series "Cougar Town," in which she plays a newly single 40-year-old mom. "So happy we get to continue making our show!" tweeted Courtney Cox soon after the move to TBS was made public. “Cougar Town” will begin airing on TBS in early 2013.